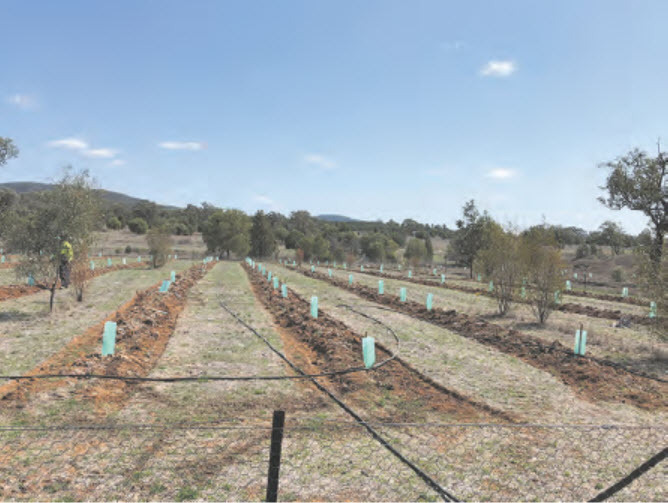 As part of a Koala Food Project funded through North West Local Land Services and supported by the Gwydir Shire Council and Northern Slopes Landcare, a Koala Food Tree garden is being planted by the Gwydir Ark Threatened Species group at The Living Classroom in Bingara. Photograph by John Hodge. A local koala. It is hoped that as this garden matures over the generations it will provide an easily accessible supply of Eucalyptus leaves for local WIRES carers. It is also hoped that the new habitat planting may even attract koalas and other threatened species such as Black Stripe Wallabies and Regent Honeyeaters to The Living Classroom precinct. 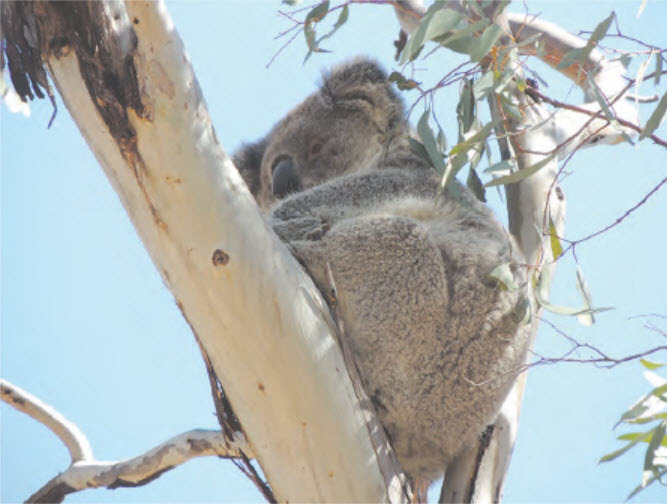 In the meantime, the trees will provide a much needed source of easily accessible Eucalypt leaves for local WIRES Koala Carers and their patients. There has been uncertainty over the planting days due to the extremely dry conditions, but the recent rains have provided the best opportunity in months. The ground has been ripped and prepared and soil moisture profiles are very positive. There are many species being planted as part of the project, including Yellow Box, White Box, Blakely’s Red Gum, Mugga Ironbark, Bimble Box, Belah and Brigalow. Some species have also been included which naturally occur further West of Bingara, as a trial project to see if the effects of climate change can be mitigated. Two planting days have already been held in the last week, however if you would like to be involved, the next planting day is scheduled for this Thursday, September 20 at 9am at The Living Classroom – All welcome. Gwydir Ark would like to give thanks to the volunteers who have already generously given of their time to support this project by planting the trees – without this invaluable assistance this project and others like it would be far less achievable.